In September, South Gloucestershire venues are throwing open their doors to celebrate their heritage, community and history. It’s your chance to see hidden places and try out new experiences – and it’s all FREE. On Saturday 8th and 15th, find out how a small museum works – a behind the scenes tour of the Museum illustrating the journey of a donated item from its arrival at the Museum to its eventual storage or exhibition place. On Sundays 9th and 16th take part in a Heritage Trail walk. On Sunday 9th enjoy part 1 which will start at the Museum and journey around the town centre looking at significant buildings or on Sunday 16th join part 2 which will start at the Museum, venturing out to the edge of the town and across fields, returning to the town centre. Booking information: No booking required for the behind the scenes tours of the Museum. Places on the two Heritage Trail walks are limited to 25 each and must be booked in advance by telephone, email or in person: call 01454 857774, email enquiries@thornburymuseum.org.uk, or visit during Museum opening times on Tuesday to Friday 1pm – 4pm and Saturday 10am- 4pm. The first shaft at the Brandy Bottom Colliery was sunk in 1837, and the pit closed in 1936. After that date the surface buildings were allowed to fall into disrepair, and any equipment removed. They have been part of a Scheduled Ancient Monument since 2000, as they are considered to be an important example of the surface layout of a 19th Century coal mine. The buildings include: the ruins of the Cornish Engine House, which was used for pumping water out of the pit; a 25 m high chimney of an ornate design; and Cossham’s 1871 Horizontal Engine House, which is the only roofed building on the site. There is no access to the underground workings, which are flooded to within a few feet of ground level. The Avon Industrial Buildings Trust has been working on the conservation of the surface structures since 2008. There will be guided tours throughout the day, which do not need advance booking. Please note that Brandy Bottom is securely fenced and locked apart from during open days and work party days. The site is adjacent to the Avon cycle path, to the south of the parking area at the western end of Coxgrove Hill. This is a working site, with uneven and possibly muddy ground, slopes of varying length and steepness, and some steps. As a result there is limited access for wheelchairs. Visitors should wear stout shoes. More information about the project, including a location map and directions to reach it, can be found on the Brandy Bottom section of the AIBT’s website www.aibt.org. Learn more about the historic village of Frenchay by taking part in a Treasure Hunt. All entrants will receive a free copy of The Grand Tour of Frenchay and there is a free bar of Fry’s chocolate for children taking part. 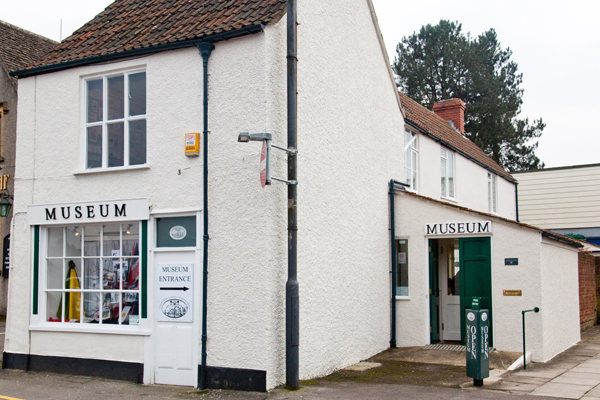 There is ample free parking and free entry to the museum. Access Information: The Treasure Hunt is on roads and pavements but involves a hill. William Champion’s 18th Century brass works at Warmley represent an important milestone in industrial history. It was here that he developed the first commercial production of zinc in Europe. Explore this fascinating building and exhibitions on World War I and II as well as Douglas motorbikes. New this year are an exhibit on Beagle 2 and the Inspiring Women: The Legacy of the First World War in South Gloucestershire exhibition. Refreshments available. 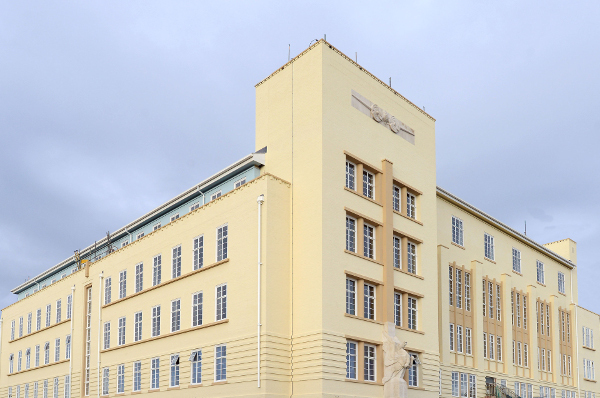 Airbus will be opening its doors of the Grade II listed Pegasus House to the community. Pegasus House opened in April 1936 as the headquarters of the Bristol Aeroplane Company, famous visitors included Queen Mary, King George VI, Winston Churchill and Group Captain Douglas Bader. Refreshments available. Access Information: There is limited access for wheelchair users and buggies with only one lift servicing the building. Booking information: Booking is essential. Tour Bookings to be made via email at communityrelationsuk@airbus.com or call Hannah Hammond on 0117 9362213. Bookings close on Friday 17 August. Access Information: Wheelchair access is possible to some parts of the site. There are areas of uneven ground and care needs to be taken in wet weather. The Friends recommend sensible footwear, and ask owners of dogs and children to take care with the archaeology. A rare opportunity to explore the Grottoes and visit the gardens where William Champion lived in the 18th Century, including the giant statue of Neptune. Access Information: There is restricted access to the Grottoes for wheelchairs and buggies. 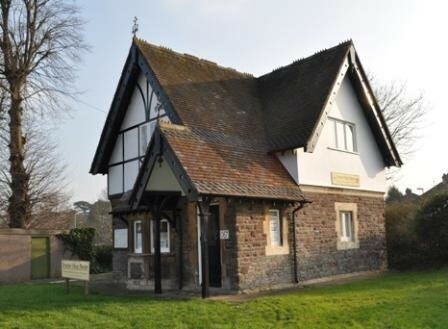 Refreshments and toilets are available next door at Kingswood Heritage Museum. If you fancy exploring further afield, Bristol are opening their doors on the weekend of Friday 14 – Sunday 16 September. Full details at www.bristoldoorsopenday.org.uk. Due to the historic nature of these venues, there is limited disabled access to some sites. If you have any questions, please contact the venues directly or check their websites for further details. All details were correct at the time of publication, please check individual venues websites for the most up to date information. Please note that Oldwood Pits who featured in our printed leaflet have unfortunately had to cancel their Open Day.